We at the Cobblestone restaurant use our menus for special events, asking you to select 3 to 4 entrees to which may be added hors d’oeuvres, bar and dessert requirements. Sales tax of 7 1/2% and 20% gratuity will be added to your package. A $200 deposit is required at contract signing. A $200 will be deducted from your final bill. Your final count must be given 7 business days before your event. You will be charged for your minimum guaranteed number. 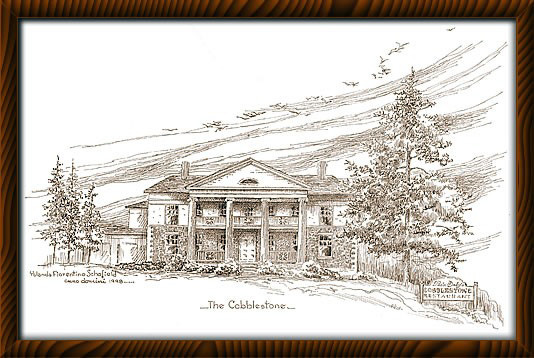 Thank you for thinking of the Cobblestone restaurant for you event. If you prefer to talk to someone live, please call us at (315) 789-8498.
and we will do the mailing for you.